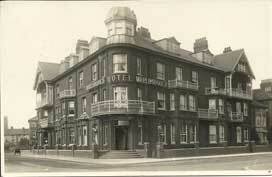 The 50-room Marlborough Hotel is built this year on the corner of Dunwich Road and what was then called Corporation Road. 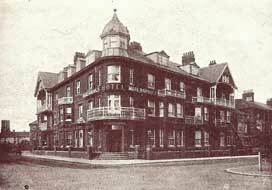 The proprietor is Carl P Bennewitz, a naturalised German whom the early advertisements describe as 'Late Manager Queen's Hotel, Eastbourne'. 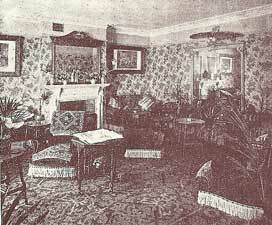 The 1901 Census records only two guests staying that night. 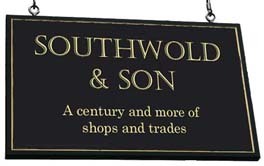 To read an editorial about the hotel, published in the book 'Southwold & Neighbourhood' in 1903, click here. Mrs Mary Ann Waldorf - Proprietor. Mrs Waldorf, whose second husband is Max Waldorf, also runs a large apartment house, known as Centre Cliff Lodge at No 10 South Green as well as a ladies' and children's hairdresser at No 39 High Street. 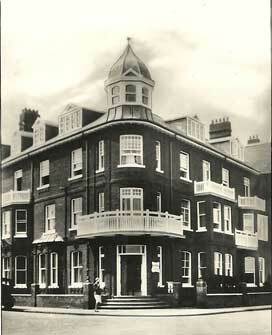 In 1934 she also purchases No 26 North Parade. Also in 1934, Mrs Waldorf and her daughter, Muriel, find themselves at the centre of an extraordinary set of events destined to hog the tabloid headlines for months and which comes to be popularly known as the case of 'The Wenhaston Millions'. To read an account of the case, compiled from contemporary news stories, click here. The hotel is virtually destryed in a May bombing raid. When was the hotel demolished? Above: View from Marlborough Road of the post-war flats built on the site of the Marlborough Hotel. Below: The same flats from North Parade, with Dunwich Road on the left and Marlborough Road on the right. 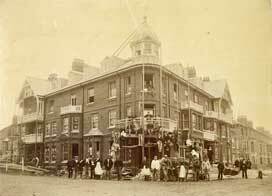 'Topping out' the Marlborough in about 1900. 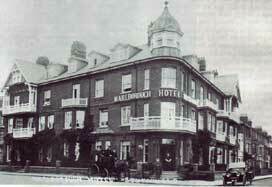 The hotel from roughly the same vantage point in about 1903, soon after it had been built. 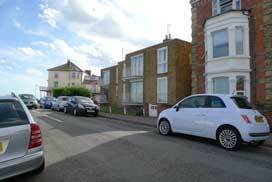 Reproduced from Southwold & Neighbourhood as are the two interior views below. 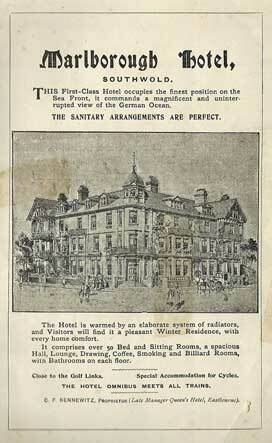 Advertisement from Jarrold's Illustrated Guide to Southwold, 1900, just after the Hotel was built. A similar view, probably between the Wars. Reproduced from Barrett Jenkins' book 'Bygones and Local Characters' courtesy of the author's daughter, Ann Thornton. 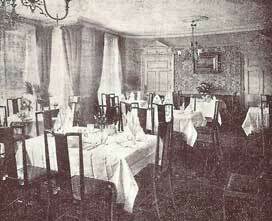 From a 1930s postcard of the hotel. The hotel, probably in the 1950s.